This is a photo taken by my three-year old granddaughter. I think it’s rather good. Her subject is something important to her: her dancing feet and her ruby slippers. We watched part of The Wizard of Oz together. In the story the sparkly red shoes the girl was given had the power to take her home but she had not realized it. 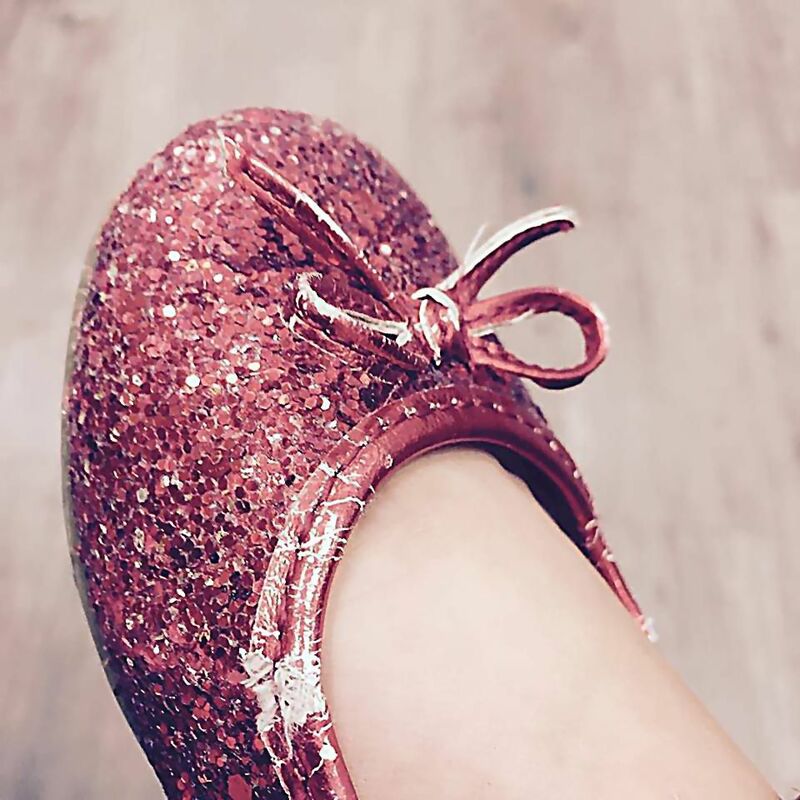 My granddaughter was enamoured with Dorothy’s shoes because they looked just like a pair I bought her for Christmas. No whining and crying in the store asking for the latest movie merchandise. She already had them. She had been dancing in them all along. I also read something Jesus said about his cousin, John the Baptist, the guy who had set the entire country on it’s ear. Sometimes we fail to notice that the ruby slippers, and the power they have, are right there on our feet already. We can travel for miles looking for someone to rescue us without realizing that if we have been adopted into God’s family we have access to everything He has for us already. We can feel thoroughly put out when we see those who have not worked nearly as hard or shown even a fraction of the self-control we have exerted receive visible signs of God’s grace and favour. Like the resentful older brother and the frightened Dorothy we have not yet begun to imagine everything we need has already been provided. Truly. Do you have any idea? I love that list! Is it yours? Good to know. Thank you, Leona. Please tell your granddaughter I think her picture is lovely. And I appreciate the reminder of who we are in Christ. I shall tell her. Thank you.